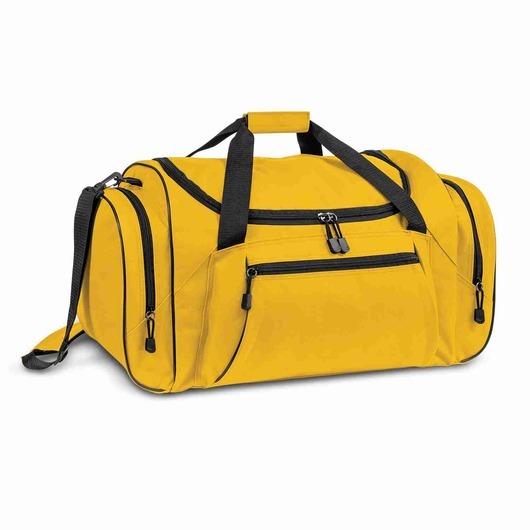 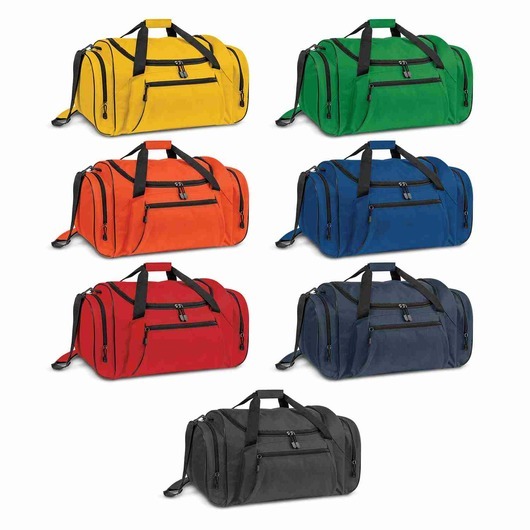 A brightly coloured duffle bag with many additional features that's extremely comfortable to carry. Use these as a travel bag, sports bag or just a general duffle. They come in many vibrant colours and are made with resilient 600D polyester. 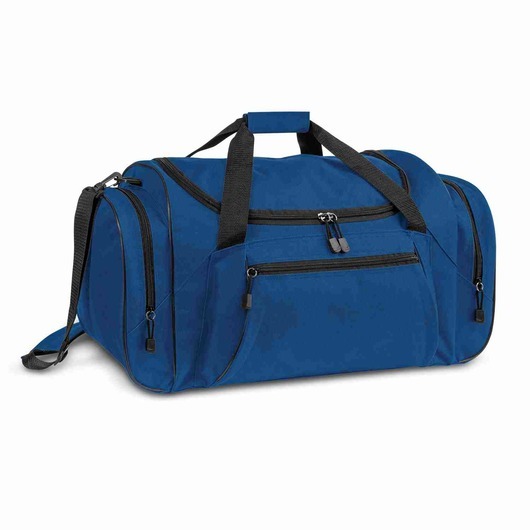 Features include: an adjustable woven shoulder strap with shaped shoulder pad for maximum comfort, woven carry handles with Velcro cuff, sturdy reinforced base with plastic feet, 3 zippered external pockets and 2 mesh external pockets.